Trial premiums for agility, barn hunt and lure coursing events. The agility equipment meets UKI and USDAA standards. 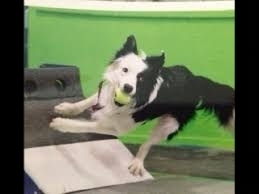 BOSS holds indoor UK Agility International (UKI) & Canine Performance Events (CPE) Trials. BOSS holds licensed trials for AKC Scent Work classes which are open to all breeds and mixed breeds registered with AKC or Canine Partners. BOSS holds licensed trials for UpDog which are open to all breeds and mixed breeds. You must join UpDog, register your team and recieve a team number: ALL FREE. Barn hunt trials at BOSS are sanctioned by the Barn Hunt Association (BHA). BOSS holds licensed trials for Farm Dog Titles which are open to all breeds and mixed breeds registered with AKC or Canine Partners. BOSS will be holding a UKC Weight Pull Match September 15, 2018. Come join the fun. BOSS has all-breed American Kennel Club (AKC) Coursing Ability Tests and AKC FAST CAT events. Come run with us! Boss holds licensed trials for Ultimate Air Dog Titles which are open to all breeds and mixed breeds registered with UKC (United Kennel Club). Membership to UKC is NOT required to compete. BOSS & Carolina's All Breed Association will be hosting UKC Conformation Shows. To view, download and print a premium, select the event image. Available premiums display in Google Drive.